In twenty-nine days, the French season will start with the traditional Grand Prix La Marseillaise. 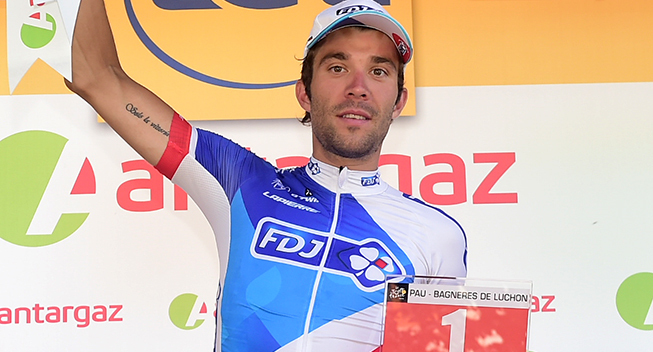 Thibaut Pinot ha already announced that he will make his comeback there and today his FDJ team have announced their complete line-up. Last year Pinotfinished second in a two-up sprint against Dries Devenyns. The latter will not be able to defend his title in 2017 as his new team, Quick-Step, won't be present. Pinot will be joined by Arthur Vichot who is suited to the hilly race. The talented neo-pros David Gaudu and Leo Vincent will also make their debut with the team in Marseille.